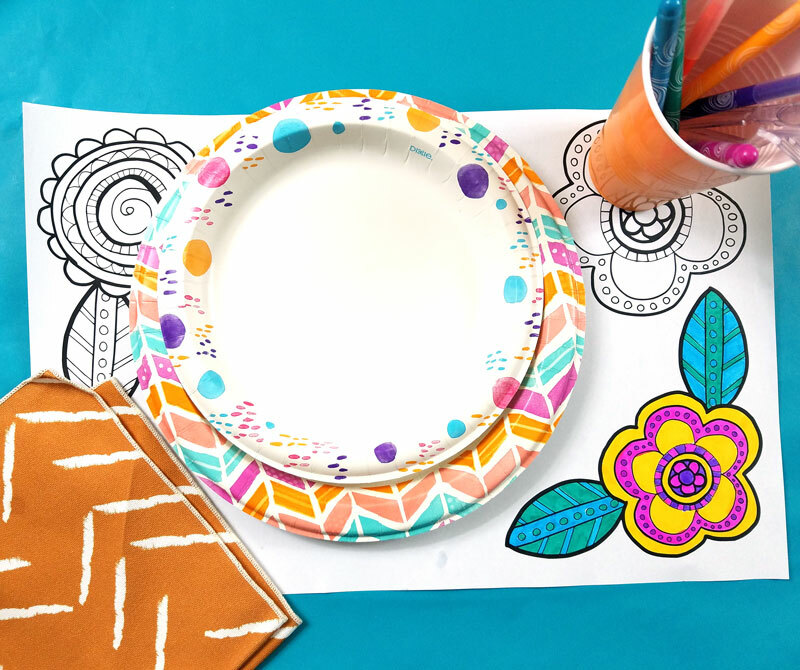 Home Crafts Color-in Placemats – Free Printable Perfect for Picnics! 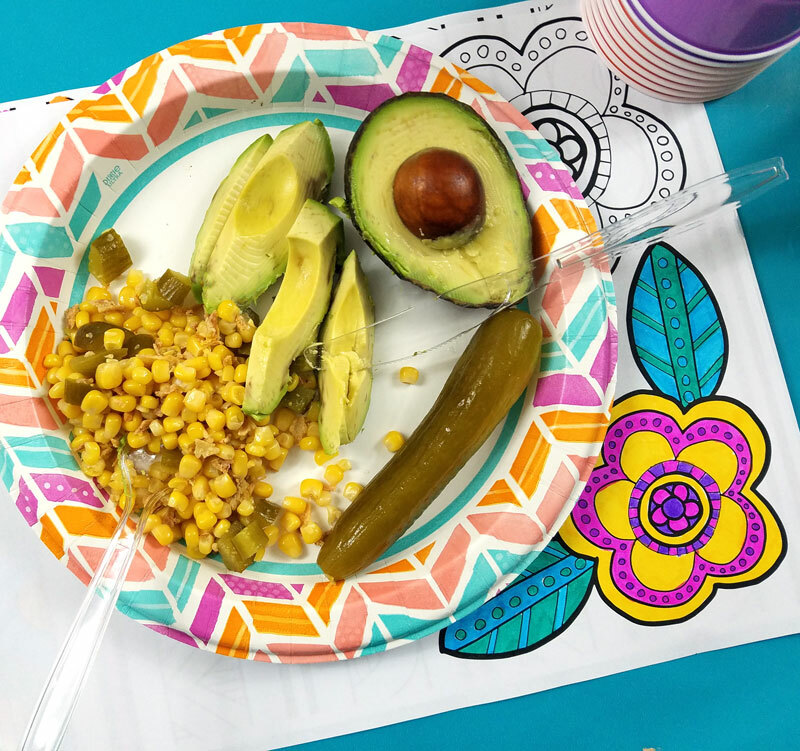 Color-in Placemats – Free Printable Perfect for Picnics! 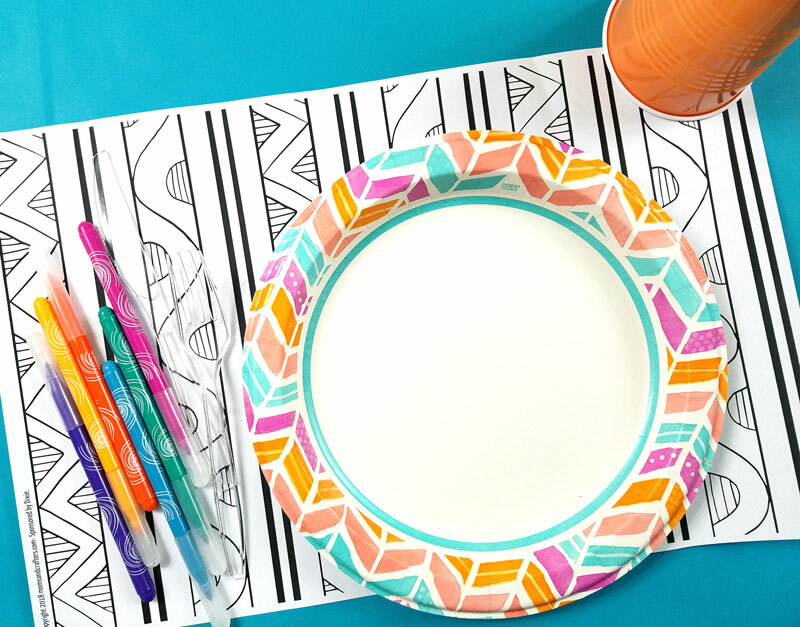 If you’d love to add some spice to your next picnic or family gathering, these free printable color-in placemats are perfect for you! 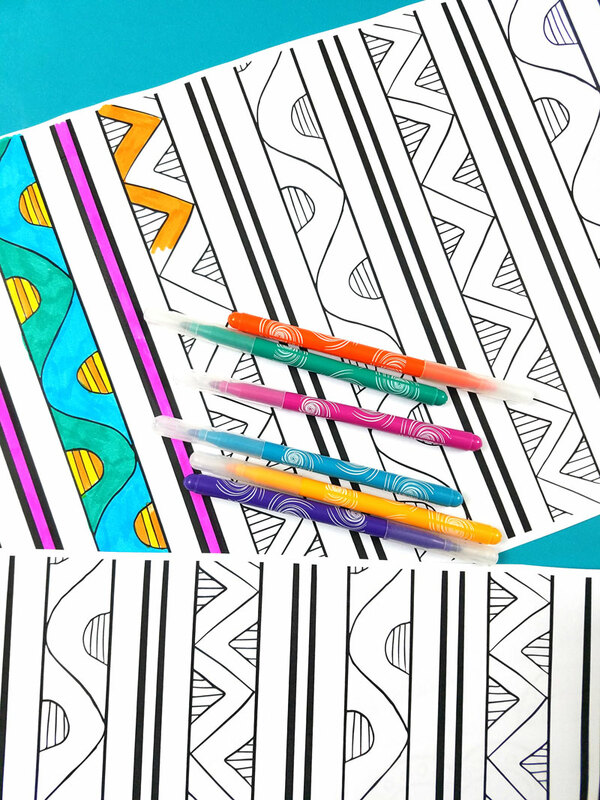 They are beautiful coloring pages for adults, that are simple enough for kids too. Disclosure: This is sponsored by Acorn, all opinions are my own. When I get the family together, I love including things that make it fun, without adding extra work for myself. It can be intense hosting 15-20 people at once, while doing most of the work on my own. I have a few tricks up my sleeve, and these are perfect for picnics and outdoor parties! First of all, it’s important for me to use high quality paper goods. Even when people are seated, they tend to walk around and mingle. And even when I DO use paper goods, I still find that I have plenty of dishes to wash, just from the cookware and serveware. Disposable plates and utensils are non-negotiable. Since I often serve hot cooked foods, I am loathe to use plastic, which is why I LOVE the Dixie paper goods I picked up at Dollar General recently. 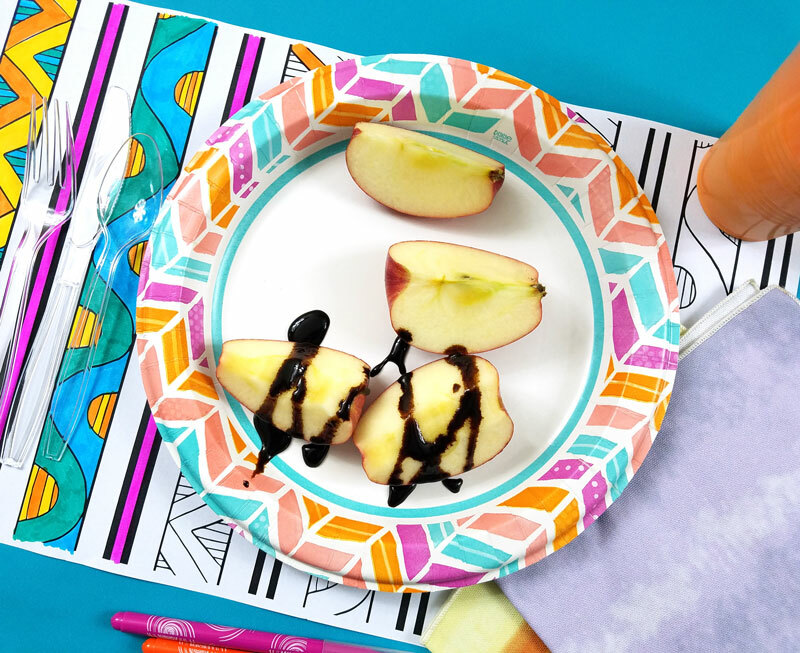 These coated paper plates have a Soak Proof Shield™ and are strong enough to hold greasy, wet foods. They won’t melt in people’s hands – the material is even microwaveable! They are durable enough so that when Papa Joe moves onward to chat with Uncle Michael, his plate doesn’t collapse with all the food on it. The plates are cut-proof too so that those barbecue drumsticks will be easier to eat. 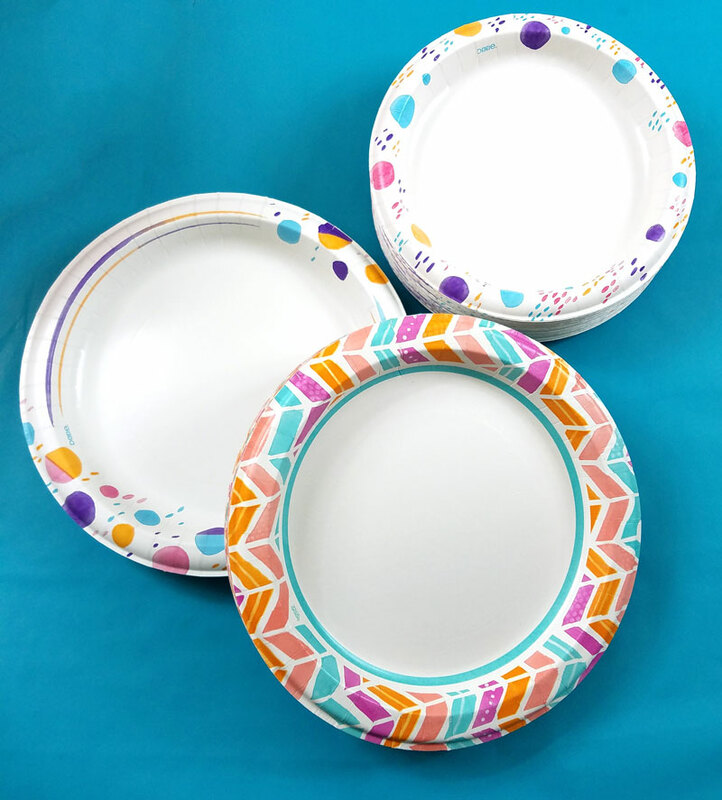 Dixie plates are 50% stronger than the leading store brand, and with five layers, they are the perfect solution to keep me away from the sink and in the party! It’s so, so important to have open-ended entertainment when pulling the family together! I like activities that can keep people chatting, doing things at their own pace, and enjoying the picnic while still having the opportunity to DO SOMETHING. 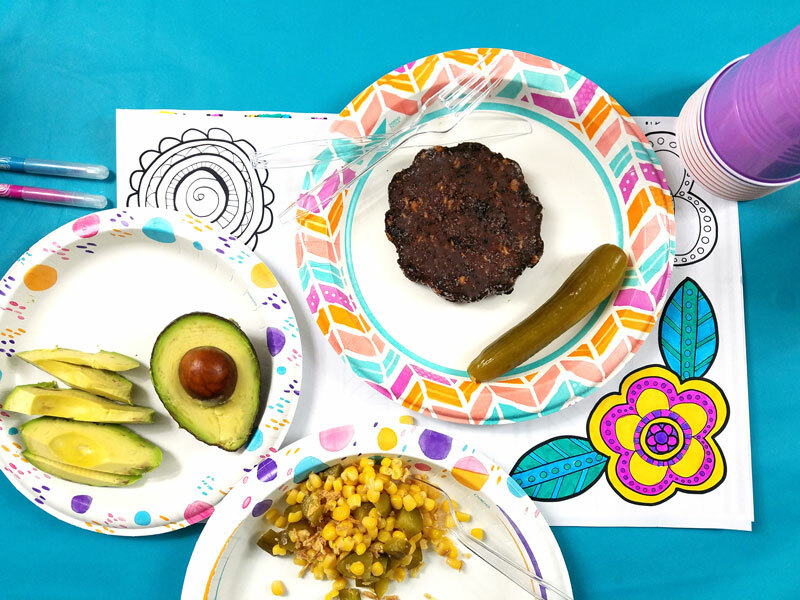 These color-in placemats were designed just for that. They provide a form of activity for the picnic, while helping you create a disposable table setting for your guests. I kept the designs simple enough for the kids and the non-artist, but sophisticated enough for the creative crowd and the grown-ups. You can download your color-in placemats via the form below. Then check your inbox for the download. 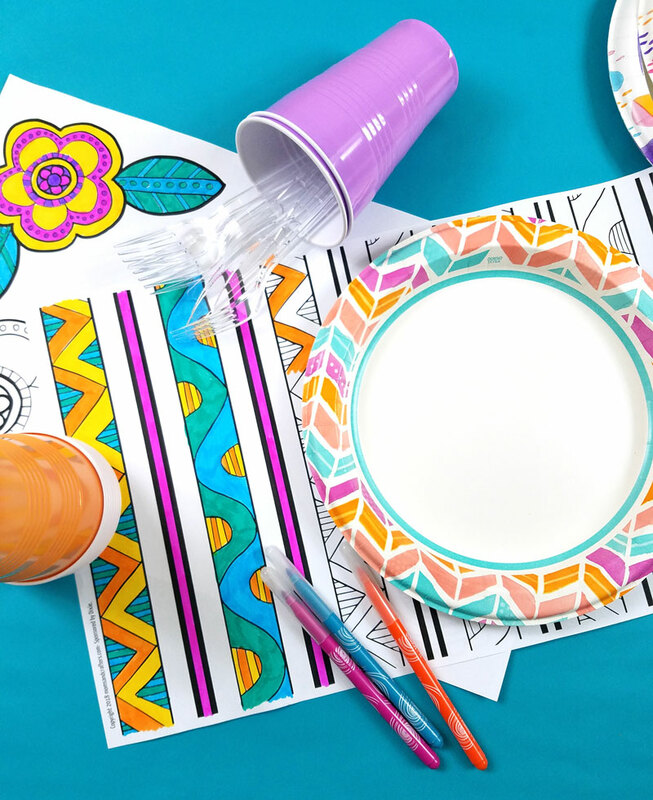 These color-in placemats were designed to be printed on an 11×14 page (double letter). Print it on a larger, commercial sized printer, or at a print shop. If you want to print it at home and you don’t have the capability to print this size, try doing it on two 8.5×11 papers and tape together on the back with paper tape. Your atmosphere will create the vibe of your party – so if you want it to be cheerful, go for fun colors! The mature pastels on Dixie paper plates are perfect for that. 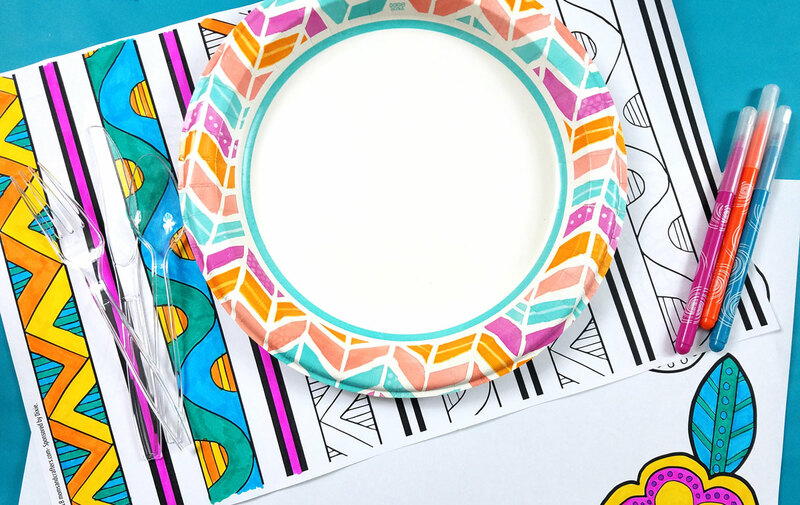 The patterns are sophisticated and fun (and even inspired the design on these color-in placemats). I also got some fun cups at Dollar General to complement the plates and to add to the splash of cheerful spring color. I found these with the paper goods; you may find them in the special Summer Picnic display (seasonal aisle) in the center of your local Dollar General. They’ll be there through the end of July. You can get them online too. What do you do to make your family picnic easier on you? 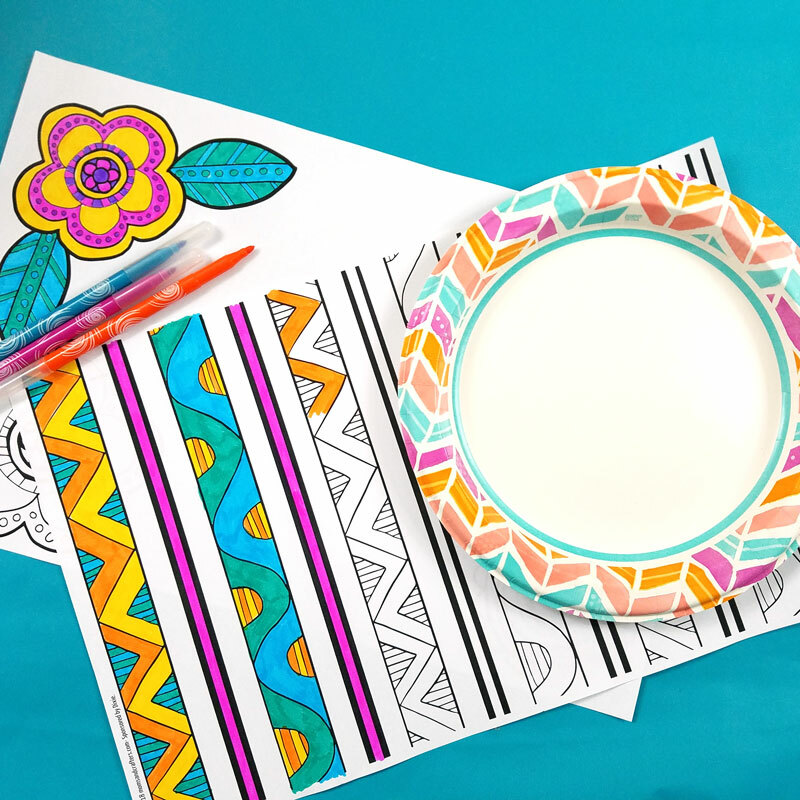 Share in the comments below, and enjoy these color-in placemats! Adult Coloring, Adult coloring pages, Crafts for Adults, Crafts for tweens, Easy, Free Printables, Grown-ups, Holiday and Seasonal crafts, sponsored, Summer crafts, Tweens/Teens. Bookmark.